Learn all about trending quinoa, including healthy facts and tempting recipes. TigerChefTigerChef > Chef Blog >Learn all about trending quinoa, including healthy facts and tempting recipes. If you are looking for information about the hottest food trends for 2019, as well as the full scoop on quinoa and how adding quinoa recipes to your menu will boost your biz, you have come to the right place. 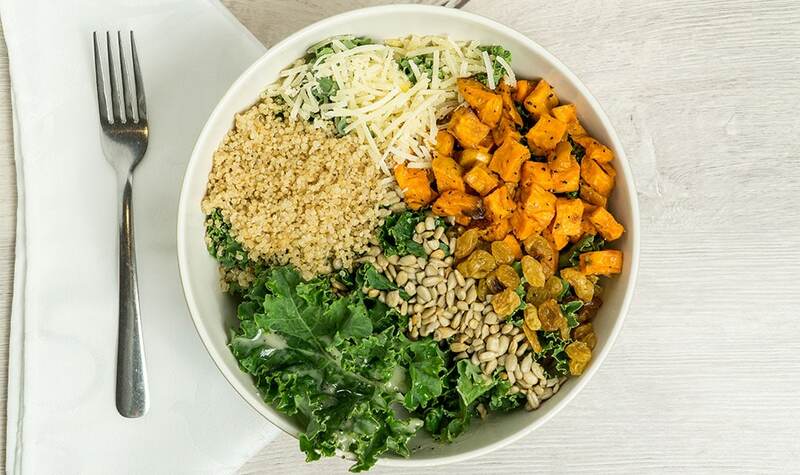 Whether you manage a restaurant, catering service, or food truck, trend-watching is an essential element in keeping your customers interested, and industry reports indicate that demand for ancient grains is up over 11%. In addition to grains such as amaranth, millet, spelt, and teff, taking the top spot and climbing the consumer popularity charts is quinoa. Ironically, much of today’s hype about diners being more daring and open to seeking new culinary adventures is a bit of a misnomer when it comes to quinoa. The fact is that quinoa has been on the map for millennium, dating back to when it was an important crop in the Inca Empire. And while it has only recently achieved ‘superfood’ status in the Western Hemisphere and become a top-selling product in health food stores, supermarkets, and restaurants worldwide, quinoa has been consumed for thousands of years in South America. But did you know that these now-famous words first appeared in researcher Philip White’s 1955 article on “Edible Seed Products of the Andes Mountains”? Since then, of course, knowledge and consumption of quinoa has spread well beyond the Andean highlands, to the point where new quinoa recipes are constantly being introduced, tingling the taste buds and pleasing the palates of quinoa fans everywhere. Quinoa, pronounced KEEN-wah, is technically not an actual cereal grain but rather a ‘pseudo-cereal’ – that is, a food that cooks and digests like a grain and has a similar nutritional profile. There are three types of quinoa – white, red, and black – all sharing the same nutritional value. Note that it is one of only a few plant foods containing all nine essential amino acids (proteins) and that quinoa is also gluten-free, making it a particularly ideal menu choice for your vegetarian, vegan, and gluten-intolerant customers. And if that weren’t enough, quinoa has also earned its status as one of the world’s most popular health foods – as this ancient grain is high in fiber, magnesium, calcium, iron, potassium, B vitamins, vitamin E, phosphorus, and antioxidants. Finally, two simple chef’s secrets on how to maximize the unique flavor, taste, and texture of quinoa: 1) Instead of water, cook quinoa in vegetable/chicken broth. 2) In addition to salt, add other spices during the cooking process, such as a pinch of black pepper, a sprig of fresh parsley, or a clove of crushed garlic. Best of all, quinoa is super-easy to prepare, combines well with other foods, and is almost guaranteed to help rake in profits when you add it to your menu. Fluff with a fork – and enjoy! Quinoa’s popularity reflects additional 2019 food industry trends, including the rise of whole grains in general. As opposed to refined grains – such as white rice and white-wheat flour – whole grains include the outer layer of the grain (the bran), as well as the middle endosperm and germ. The latter are particularly rich in dietary fiber and nutrients. While rice varieties fall under the category of traditional whole grains, it is the ancient grains that are the ‘new kids on the block’ – especially when it comes to restaurant menus. You can’t go wrong by including quinoa, as well as kamut, millet, farro, sorghum, amaranth, and buckwheat to your menu options – as they are all bound to be big hits. As a side dish to any meal, as a bed for baked fish or stews, or used in salads, casseroles, and even breakfast cereals, you can’t go wrong with versatile quinoa. A fantastic addition to any recipe, here are a couple of mouthwatering favorites to end off this blog and get your chef’s own culinary creative juices flowing. Note: It is recommended to prepare this dish one day in advance to allow the dressing to be absorbed. Bursting with protein and fiber, this scrumptious salad also provides iron, Vitamin E, zinc, and selenium. In a single layer, spread sunflower seeds/almonds/pine nuts on a baking pan and toast in oven for 8-10 minutes. Remove and cool to room temperature. Boil water in a pot, add quinoa and salt, and simmer uncovered for 10-12 minutes. In a large bowl, mix dressing ingredients together. Add quinoa and remaining ingredients. Toss well and season to taste with salt/pepper.